You made? I thought your name was Goose not Mauro? 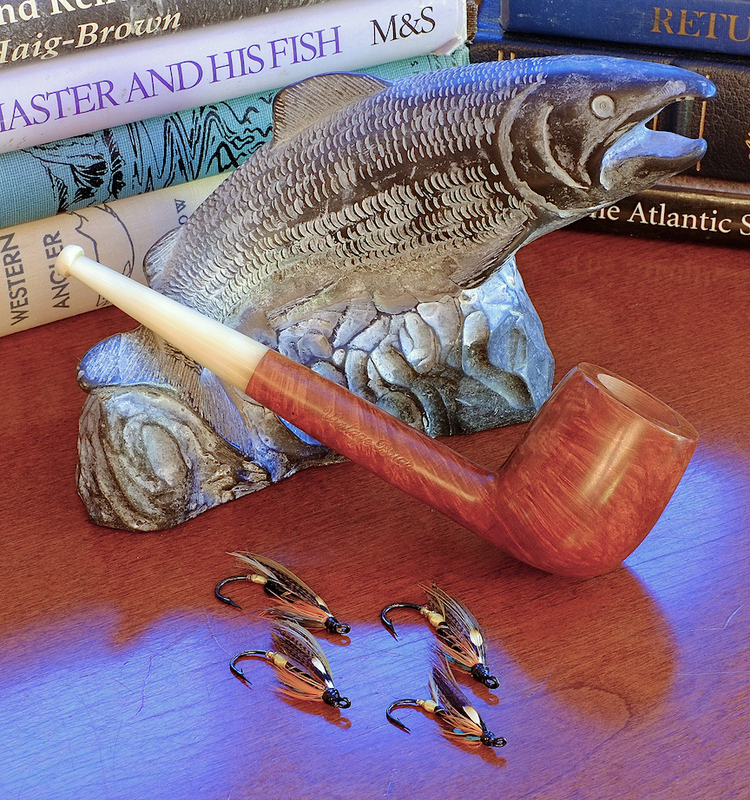 Check out Pics of my pipe collection. You could add to that thread. 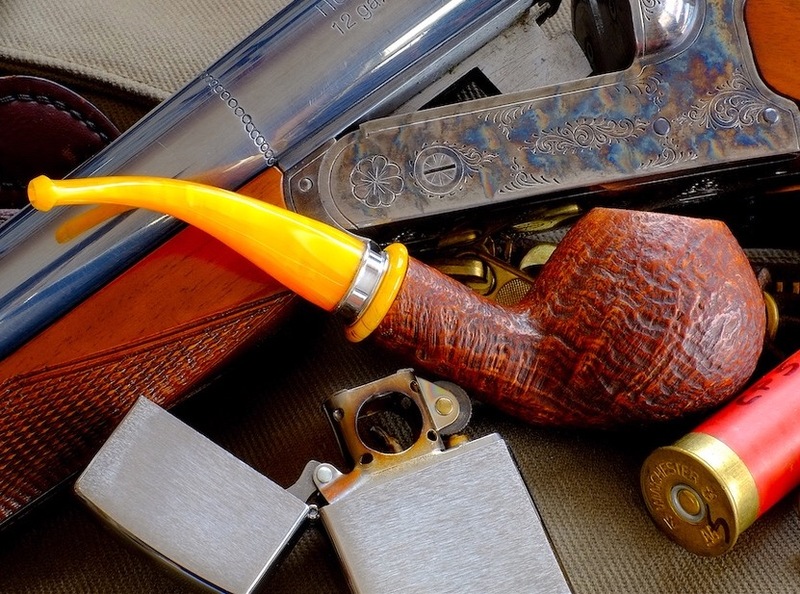 I like pics of pipes where ever they may be found. 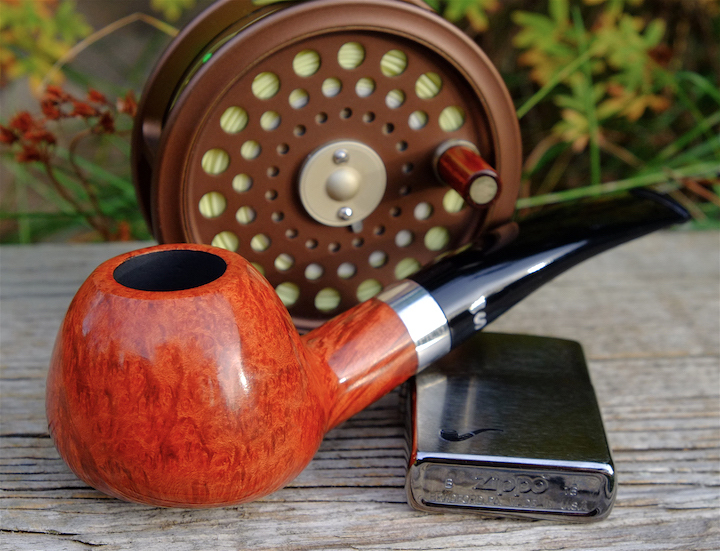 All of the pictures of my pipes that I have on CPS now have been replaced by the PB dead link...that may not be a bad thing, for as Rusty pointed out once or twice my photography skills were sadly lacking. There were two or three that with Rusty's guidance didn't turn out too bad so I am sad that they are gone. I haven't looked at the collection threads to see what damage PB did there. Is it a Pot shape? Your pics were lovely. It's just that they were very tiny pics. I had to zoom or magnify the view to see them. Even on your photo site the pics were tiny. I honestly wondered why they were so small. The forum S/W limits the size of pics now. No, its more like a short Dublin,... if there is a shape name for that. Got more pics that show more of the shape? Is the chamber a slightly tapered cylinder or is it conical? And how wide and deep? 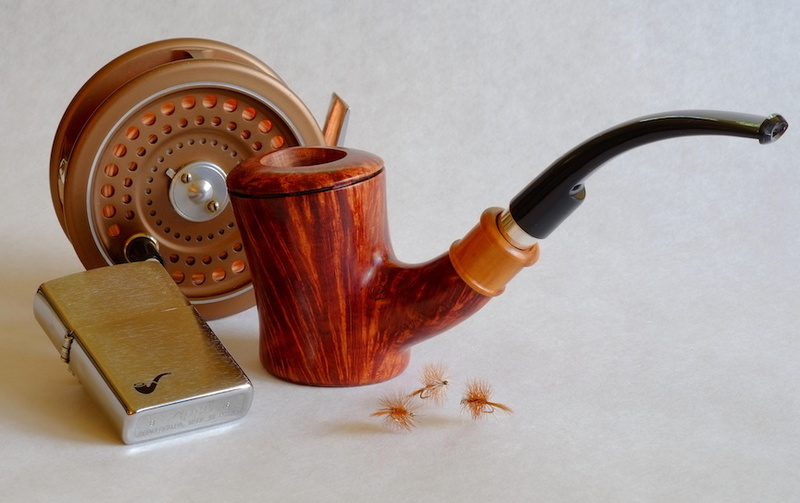 I want some of Rusty's pipes. That guy has an eye. I'm curious what it is. Pot chambers appear in more shapes than Pots. OTOH maybe they had something else in mind. That's a Pot! It's big too. That will really lower the burn rate on anything in it. 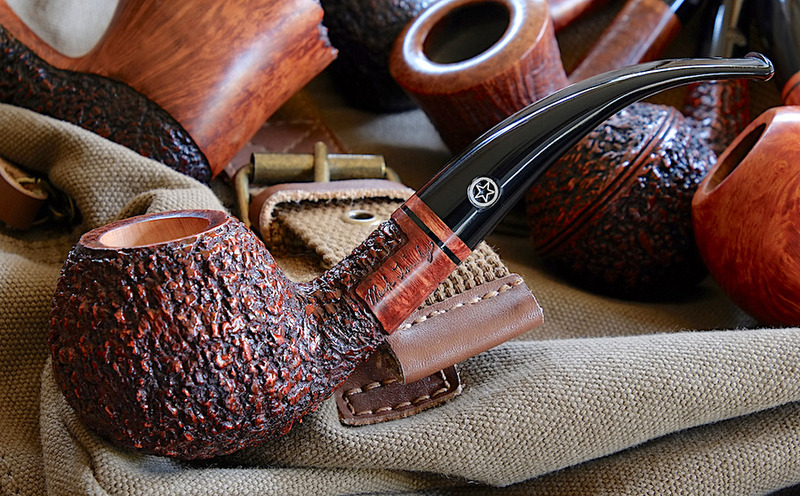 Nice pipe. Do you pay someone to do the photography? It looks very professional. 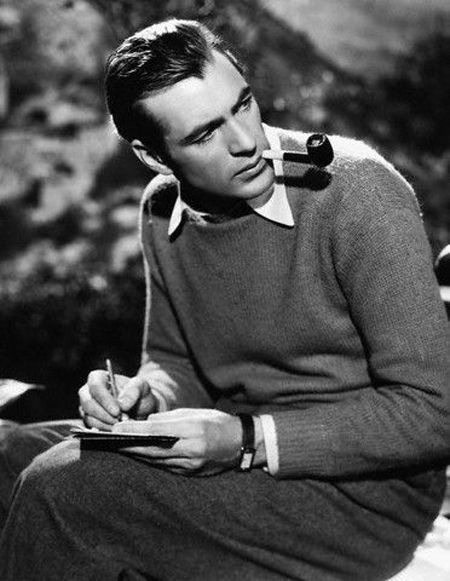 I've always enjoyed this picture of Gary Cooper. No, Goose. They're all my own photos. 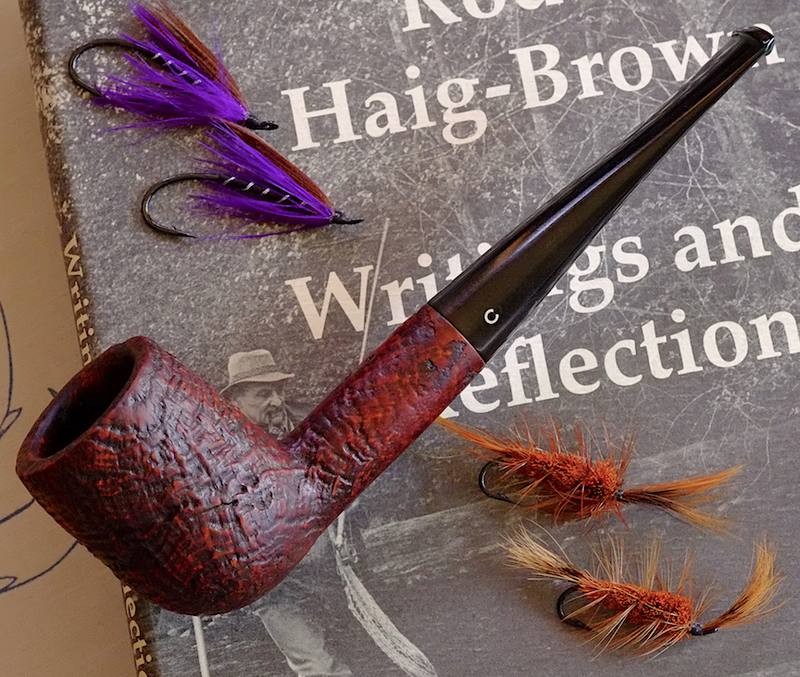 Photographing my pipes is as much of a hobby for me as collecting and smoking them. 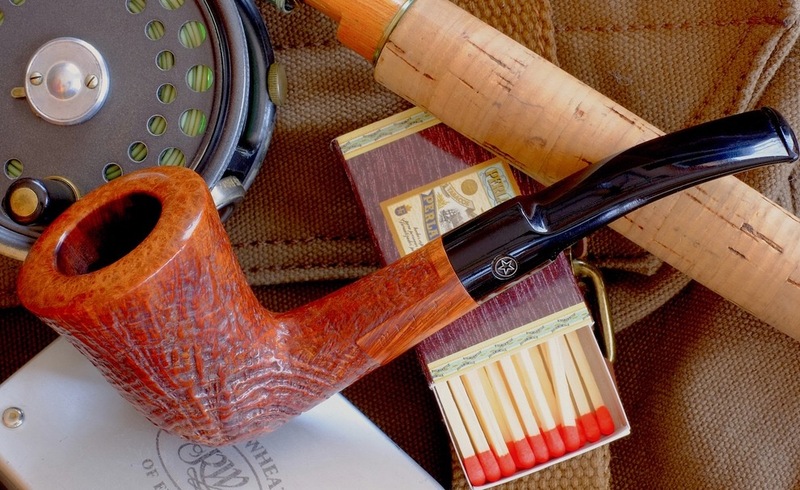 I almost always photograph an estate pipe as soon as I'm done refurbishing it and a new pipe before it's smoked. 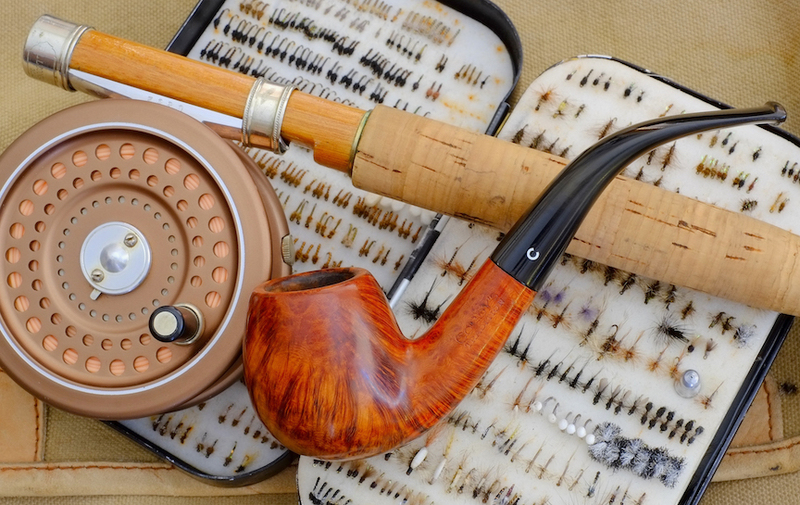 Often, the props included are from other favorite pastimes like fishing and hunting. I've always liked that photo, myself. What do you smoke in them? They look completely unused. Like pristine models. Now if they're just props for fishing gear pictures then you can say so. I think they're gorgeous. But they show no signs of SMOKING. Show us your down & dirty used pipes whose beauty is mated with bruises, tar, rim damage, and bite marks. C'mon. I wanna see them with ash and cake crawling up the bowl and out onto the rim. I wanna sense from the pic that they're icky stinkers to everybody but you. We want to see the frail but heroic human side of your pipes. You've shown the fishing gear models. We understand. They're beautiful but just models. It's ok. I hate to ask but ... has any of that fishing gear been used? Those are fishing catalog pics. Come clean. How about the table? Where is the used stuff that resembles you? Aging with grace but showing signs of heavy use and age. It's still going but the mileage shows. You're not 18 or 20 yo and you don't look like that. The real pipes don't either. Last edited by Rusty on Fri Aug 11, 2017 10:13 pm, edited 1 time in total. You live a charmed and blessed life! The pipes are beautiful. GaryinVA and I are going to raid your house sometime soon while you are away. We have an agreement. He gets the Tinskys, and takes the wrap. All the others are for me! Last edited by Goose55 on Fri Aug 11, 2017 10:06 pm, edited 1 time in total. What do you smoke in them? They look completely unused. Like pristine models. Now if they're just props for fishing gear pictures then you can say so. I think they're gorgeous. But they show no signs of SMOKING. Show us your down & dirty used pipes whose beauty is mated with bruises, tar, rim damage, and bite marks. C'mon. I wanna see them with ash and cake crawling up the bowl. I wanna sense from the pic that they're icky stinkers to everybody but you. We want to see the frail but heroic human side of your pipes. You've shown the fishing gear models. We understand. They're beautiful but just models. It's ok. 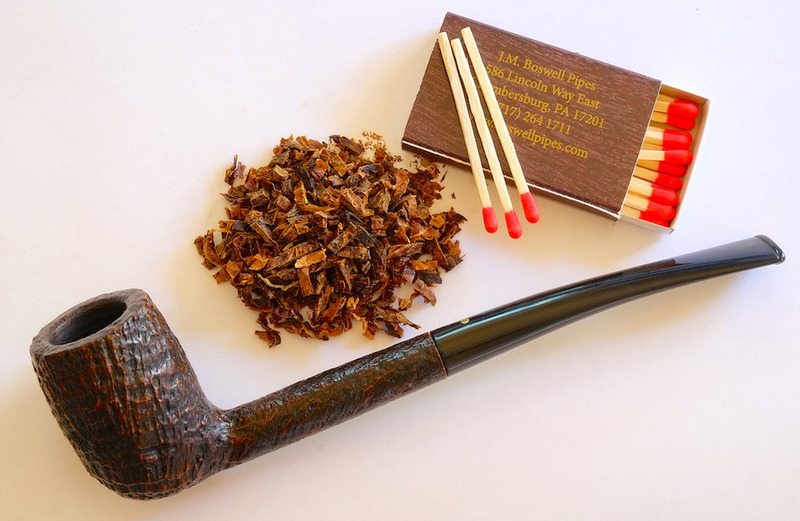 I almost always photograph an estate pipe as soon as I'm done refurbishing it and a new pipe before it's smoked. 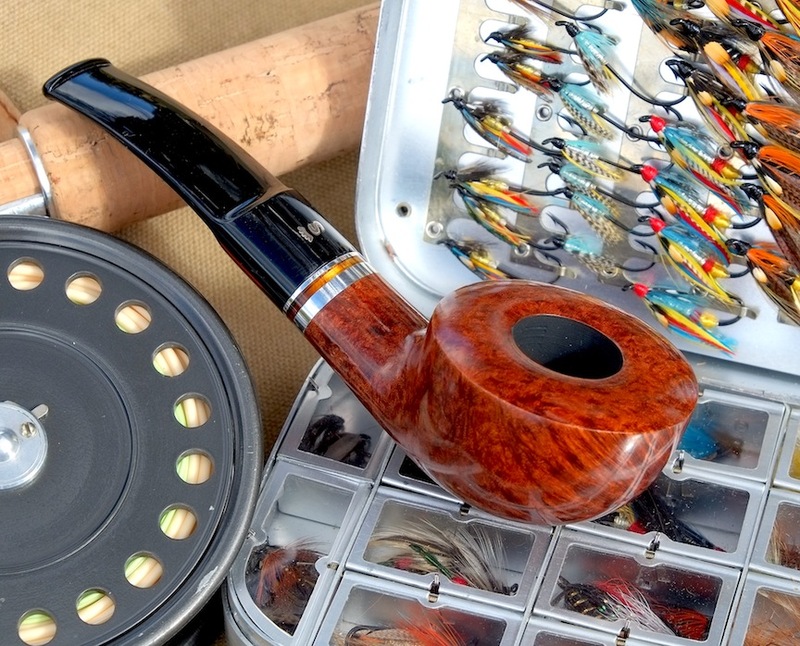 Often, the props included are from other favorite pastimes like fishing and hunting.